Humor, helping drive road hound: Scott Whitaker gets around. He’s well-traveled and constantly on the go. And he loves it! Whitaker is a salesman in the Colorado office.  He promotes the full Crane Works product line across Colorado, Utah, New Mexico and Arizona. In Wyoming and Montana he’s the point man for material handling equipment. Whitaker joined the Brighton team on Aug. 10. He brings 30 years of sales experience to the job. In fact, this Southern boy to the bone wanted to be a race car driver. His dad was a huge NASCAR fan, and they always went to the races in Georgia. Because of his dad’s job promotions, Whitaker attended three high schools in three states: Georgia, Tennessee and Alabama. Clearly, Whitaker developed the gift of gab at an early age, ensuring he easily fit in wherever he landed. “When you’re in sales, you’re always on,” Whitaker says of his workdays. “I’m available for whatever my prospects need me to be available for – even if it’s at 5 o’clock in the morning.” He works an 8 – 4 schedule, but occasionally Whitaker is making sales calls as late as 6 p.m.
Whitaker’s sales training includes cars, scales, cranes and forklifts. He is an alumnus of the Dale Carnegie and Tom Hopkins sales courses. Past employers include Cargotec, Palfinger North America and Pine Mountain Equipment Distributors. Whitaker’s workdays are a mixture of prospecting’s best practices. Depending on whether he’s in town or out of town, he fields a few company-supplied leads, utilizes town advertising databases, employs phone books and several other lists, readies his GPS, then hits the street. Whitaker is driven by the work ethic his father taught him. “If you’re going to do something, do it. He worked two jobs for as long as I can remember. You can’t really work two jobs in sales,” Whitaker points out. In the past, he’s spent up to two weeks on the road selling product in large territories with a lot of space. These days, his typical schedule includes a Sunday evening departure and a Thursday return. It helps keep him close to his wife of 29 years, Cindy, and their children: James, 25; Emily, 23; Bethany, 15; and Jared, 13. Whitaker has alternated between assistant and head football coach on Jared’s team. He’s also coached youth volleyball, baseball and golf. He travels extensively to Bethany’s band and flag corps competitions. For fun, Whitaker golfs. He and his family are also active in their church, Faith Baptist, in Parker.